ORLANDO, FLORIDA—If you are just beginning to focus on your website and know that you want to use the principles of search engine optimization but aren’t sure where to start, you have come to the right place. “The first step to a successful SEO campaign is to identify the kind of help you need and find an SEO veteran with a proven track record,” says Ali Husayni, who founded his SEO agency in 2004. Each business is unique with varying levels of technical experience, budget and personnel, but Millionairium has a solution compatible for each one. Some companies want the guaranteed results Husayni offers with a full-scale SEO campaign so they are free to focus on other aspects of their business, but other companies have a different vision for their SEO. Millionairium’s consulting services are a good option for clients who are looking for in-depth analysis of their site, rankings and an SEO team. It’s an ideal choice if they need search engine optimization tips and solutions for specific problems like finding out why rankings tanked after an update. 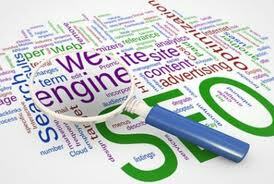 Consulting services can also be used to help companies locate, hire and set up an in-house SEO team. Coaching is for the businesses that want to be hands-on with SEO and have a working knowledge of HTML, but feel overwhelmed by the sheer volume of information available and need help setting up a road map for an effective search engine optimization campaign. They want to avoid getting sidetracked by insignificant issues or techniques that will eat up a lot of energy and time. “With so much wrong information out there on the Internet, I cannot stress to you enough how important it is to have an asset like Millionairium on your side,” says Don Gerig Jr., a client who hired Husayni for SEO coaching services. Gerig manages his family’s business American Dream Realty, a Santa Cruz company with a client base primarily from Internet traffic.He and his brother Matt Gerig, the marketing director, had studied HTML coding and SEO for a while but kept finding contradictory information on what worked with the search engines and what didn’t. When they moved their website to a new hosting platform, they knew they needed professional coaching to become more competitive in the market. “I did a lot of research and, after a lot of frustration, I finally found Millionairium. I knew I had to have the best, so I immediately hired Ali,” says Don Gerig. Millionairium spent about 20 hours working with the American Dream Realty team and after a few months of continued support, the hard work paid off. The site’s traffic soared to the highest levels in their market where they now rank at the top of Google for their main keyword: Santa Cruz Real Estate. SEO is constantly changing with algorithms being updated frequently and without notice as search engines work to improve results and fight spam techniques. That means good SEO must adapt to the changes, discarding obsolete practices, avoiding black hat techniques and implementing new strategies to stay on top. “Using outdated information and techniques or making a simple mistake because of insufficient information can waste your time and worse, have a profoundly negative impact on a site,” says Husayni, an SEO expert. A veteran SEO coach can show businesses what they need to do for success and then teach them how to find reputable sources to stay up-to-date about developments, technologies and strategies as well as how to implement the information on their own. “Knowing how to stay current is crucial for the long-term success of a marketing campaign,” says Husayni. Learning SEO, like any new skill set, takes time and practice. But with Millionairium, the process gets started right away. The websites’ SEO is working and the rankings are getting better while the business owners are learning how to use the techniques. Some aspects of SEO are done once, like certain programming tasks and structuring the website so search engine spiders can easily crawl the content, but a lot of SEO is ongoing, such as link-building campaigns and writing press releases and articles. The SEO coach shows them how to do the one-time tasks, explaining what they are as they are done, and the ongoing tasks can be done together. Establishing where a business wants to go with their SEO campaign and the steps they need to take to get there can be difficult to do when they are still learning about the different techniques. A coach can help business owners set goals with a realistic timeline and equip them with focused techniques that will help their businesses achieve that. “What a good SEO company does, whether they are doing all the SEO work or getting you set up, is start you out correctly by honing a clear strategy and then focusing on meeting authoritative guidelines with an emphasis on good content,” he says. SEO info searching is not that easy if you don\’t know what to look for and where to start, most of us had started at the wrong foot and Yes, SEO expert are needed but now a days, there is no such things as free and if you want you site to be optimized properly, go hire an expert and try tracking an expert record first before hiring. We all need proper coaching stuff at the beginning.. Thank you for sharing such great post.. Staying current on SEO techniques is definitely essential. @Lawerence Malone What other blogs do you read to keep up to date on the SEO world? One of my favorites is Search Engine Land, Danny Sullivan\’s posts in particular. @Matt Gerig Thanks for stopping by and taking the time to comment! Do you have any other points that you would have added to this list? What would you say to someone who is trying to decide whether or not to hire a coach? When anyone works in this field of SEO with the help of professionals, have to stay tuned with the latest SEO updates from Google. I also believe Interaction with other experts in the forums and blogs is very valuable for sure. @Behzad Jam You hit on an important point. Getting references from a company you\’re considering hiring is the single best way to make sure you\’re investing money well. We have a blog section and another separate page dedicated to testimonials. They have the facts, quotes from the businesses\’ key players and phone numbers so potential clients can call the company themselves. If an SEO company is reluctant to give out references of their work, buyers beware! They might not have any success stories. @Shima Alizadeh Thank you, and I\’m glad that the article was helpful! Like Ali says SEO is a skill that every business owner can benefit from learning, but what some people don\’t know is that it doesn\’t require a huge marketing budget to start out with. The archives of the blog are full of how to articles and information, and even just a few hours with an SEO coach from Master Google can do wonders for a new website. This is Matt Gerig thanks for adding us to your blog. The contextual link would have been better being Santa Cruz Real Estate Homes For Sale but hey ill take any link I can get from you. We appreciate all your hard work and taking our phone calls for the hundreds of questions we had. Many thanks and continued success! When you are looking for information about SEO on net you see there is a lot of information that is not update or useful, I think the only way someone can trust the info is the company record and it\’s successful projects. SEO is so complicated with a lot of details. for inxpert people it wil take a lot of time and in some cases maybe it presents the inverse result. hiring a good seo team will save time and money while you get the ideal rank then you can go on by yourself with some supervision. If you so interested in seo you can learn it but never test it for your ccompany without any expert leader existence, it\’s really dangerous. Thank you Vonya for sharing this article. Thank you millionairium for this nice and fresh blog. So good to see this fresh article. I truly enjoy every post on millionairium.com because this platform always provide authenticated and latest information that helps me to select my direction towards optimization for my blog. I love to go through every article written by Master Google\’s CEO or team. This one is a bit late but has fresh updates for me. Thanks for sharing.